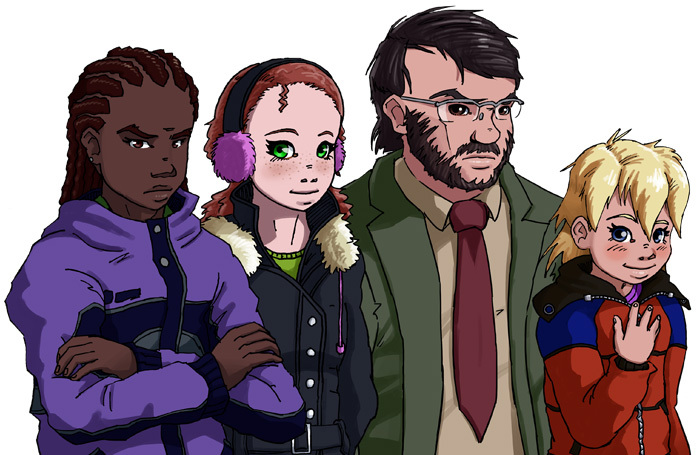 The in-game character graphics for the four major non-player characters in Junction . The game itself is mostly complete, but still has a ways to go before it's ready to release. All four were inked on paper and then extensively redrawn in Photoshop.